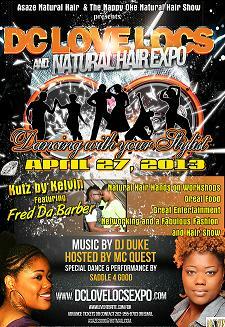 The 2013 DC Love Locs, and Natural Hair Expo is just around the corner. This year’s expo is without a doubt going to be the largest one yet :o) Vendor and Sponsor spots are still available. Email asaze2000@hotmail.com for more info. « 8th Annual DC Love Locs, and Natural Hair Expo!